Nonsteroidal anti-inflammatory drugs (NSAIDs; e.g., ibuprofen, naproxen, aspirin, and acetaminophen) exert analgesic, antipyretic, and anti-inflammatory effects because they inhibit the enzyme cyclooxygenase, which is necessary for the synthesis of prostaglandins from arachidonic acid. 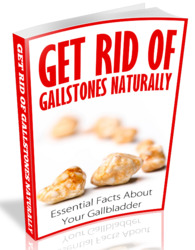 In normal individuals, the use of these drugs has little or no effect on RBF or GFR. However, in patients who have hemorrhaged or who are dehydrated (volume contracted), or who are otherwise physically stressed, these drugs may exacerbate damage to the kidney and increase the likelihood of acute renal failure. In these situations, the pathologic event increases the activity of the renal nerves, which is accompanied by the release of renin and the production of angiotensin II. Both increased renal nerve activity and angiotensin II increase afferent and efferent arteriolar resistance and decrease both RBF and GFR. When severe, these responses can diminish RBF to the point of renal infarction. This extreme situation is normally countered by the release of prostaglandins whose vasodilatory actions oppose the vasoconstrictors. When the patient is being treated with NSAIDs, prostaglandin synthesis is inhibited and, consequently, the likelihood of acute renal failure is increased with hemorrhage, dehydration, or surgical stress. For this reason, NSAIDs are counterindicated before many surgical procedures, or when circulating renin or catecho-lamine levels, or renal sympathetic nerve activity, are expected to be high. For example, NSAIDs must be used with caution or avoided in patients with chronic renal failure, congestive heart failure, cirrhosis of the liver with ascites, or before surgery. which is used to inhibit the immune response in transplant recipients. The factors regulating RBF and GFR may differ in various regions of the kidney so that the distribution of glomerular filtrate can be shifted between superficial and juxtamedullary nephrons. Superficial nephrons have lower rates of glomerular filtration than do midcortical nephrons, and juxtamedullary nephrons have higher filtration rates than either. Juxtamedullary nephrons appear to have a greater intrinsic capacity to reabsorb salt and water, and glomerular filtration may be shifted to these nephrons when salt and water conservation is dictated. There may be an increase in flow to the superficial nephrons during periods of increased salt intake and extracellular fluid volume expansion. Although such changes in the distribution of RBF and glomerular filtration could play an important role in the renal response to volume expansion or contraction, there is no conclusive evidence about the extent to which they contribute to regulation of salt and water excretion. 1998;275:S221-S235. Navar LG, Inscho EW, Majid DSA, Imig JD, Harrison-Bernard LM, Mitchell, KD. Paracrine regulation of the renal circulation. Physiol Rev 1996;76:425-536. Schnerrman J, Briggs JP. 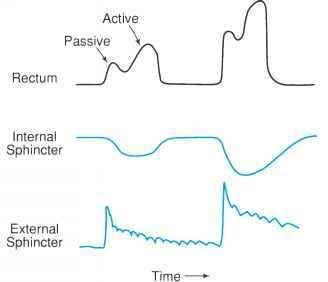 Function of the juxtaglomerular apparatus: Control of glomerular hemodynamics and renin secretion. In Seldin DW, Giebisch G, eds., The kidney: Physiology and pathophysiology, Vol 1, 3rd ed. Philadelphia: Lippincott Williams & Wilkins, 2000, pp 945-980.